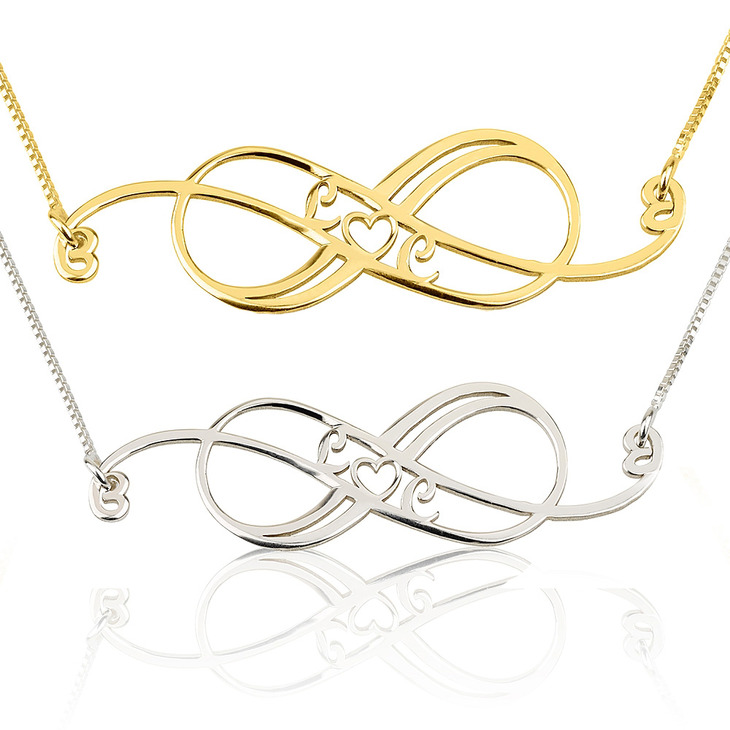 Feel truly one-of-a-kind by wearing a Swirly Initial Infinity Necklace of your very own. 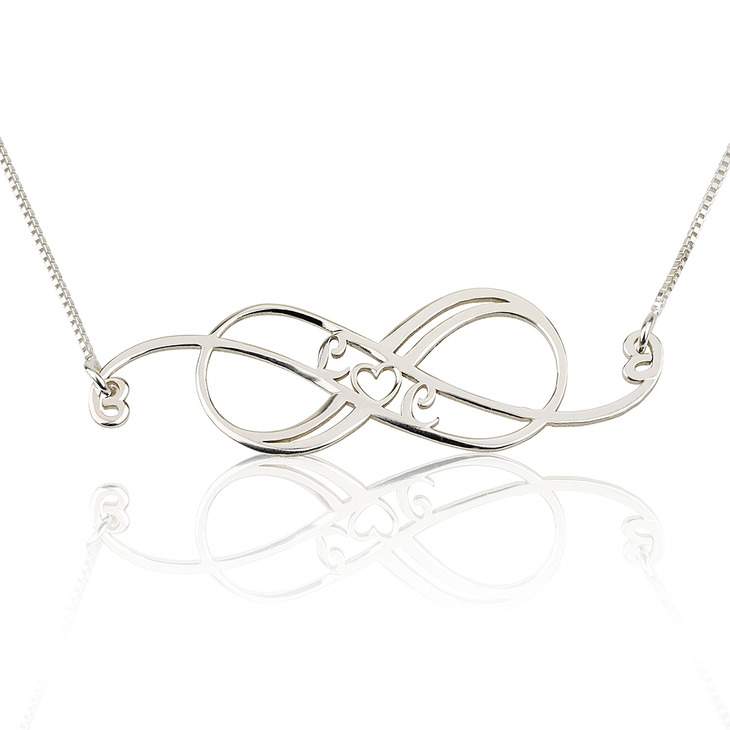 We created this unique swirling infinity design, personalised to perfection with any two initials of your choosing for a sophisticated and elegant flair. This unique pendant style is crafted from lasting quality sterling silver, and can be worn with even the simplest outfit to dress up your style and help you feel positively unique. Order Now! 47mm x 13.5mm / 1.9" x 0.5"